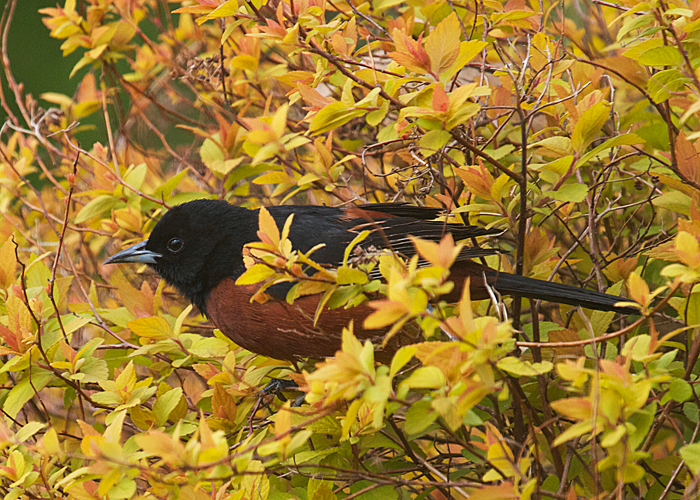 In the backyard shrubbery, an male orchard oriole picked at leaves and buds — a good "yard bird" this morning. Throughout the day, he visited the Oriole Grape Jelly Cafe many times. He's quite a bit smaller than the Baltimore oriole. And while his plumage is not so bright, it is just as beautiful. Bring orioles in close with the Oriole Grape Jelly Cafe.